Choose from a selection of 6 holiday rentals in Euboea. Use the search form to the left to filter the results and pick your choice of self catering accommodation in Euboea. We have a good selection of holiday apartments in Euboea perfect for family, single, romantic and group holidays. You may prefer to take a look at our listed holiday villas in Euboea or holiday apartments in Euboea. Find your holiday homes by a specific type using the property type drop down in the filter. Filter the holiday homes in Euboea by a specific area using the area list above. In Evia, 5 km from Marmari port, 20 km from Karystos town, this villa stands over a very beautiful and quiet beach, into a property of 5. This cosy beachfront villa is situated at the seaside village of Ilia in Aidipsos, and it's literally 2-feet away from the water. 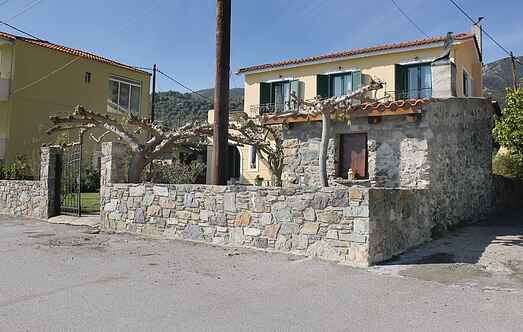 This beautiful holiday house in Evia island owns 5 bedrooms and can accommodate easily a group of 12 persons. All rooms are spacious with tasteful decoration. Located in the biggest island of Greece, Evoia, this fantastic holiday home offers plenty of space and comfort.